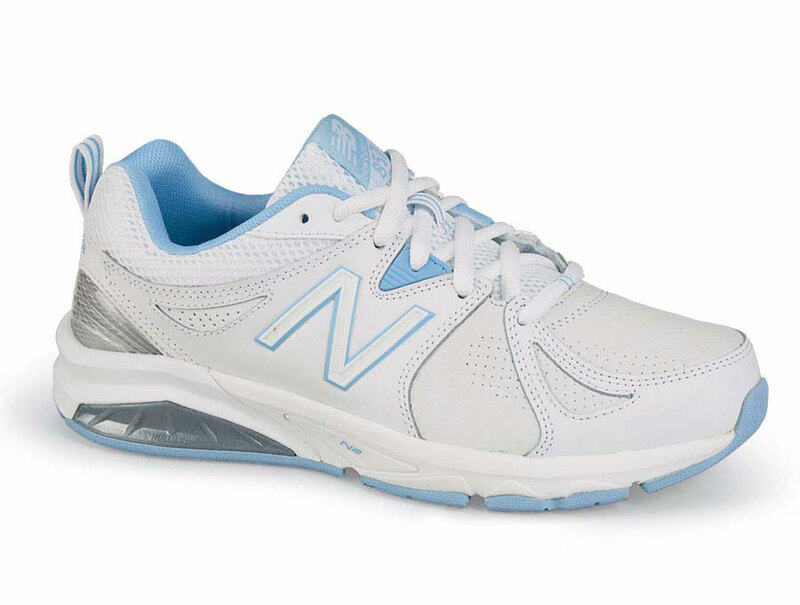 The latest version of New Balance’s classic 857 training shoe has uppers of full-grain leather with moisture-wicking Dri-Lex® linings to keep feet dry, a dual-density midsole and removable PU insert for cushioning and comfort and an internal shank for stability and support. 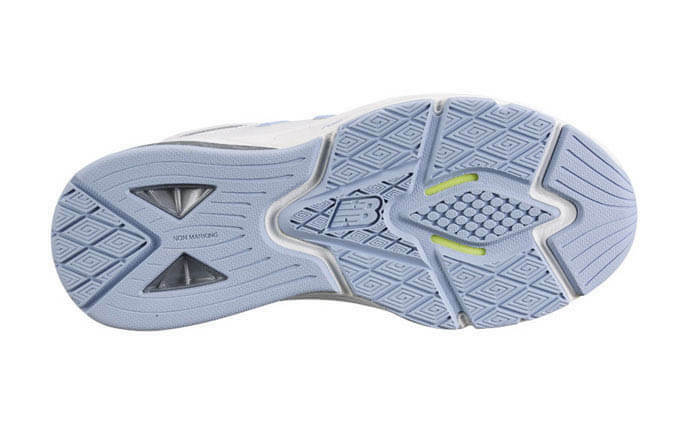 Non-marking outsole. WX-001 last. Women’s sizes 5–11 and 12 in 4E width.